Most of the UK companies seem to have their pricing at around £10-12 per gram, but it is possible to find CBD flower cheaper if you shop around. I found some at 2.5 euros per gram plus export taxes at a shop called Canvory which still ended up being a pretty good deal by all accounts. Stores are popping up online all over the place and some bricks and mortar shops are even open in the UK and seem to be remaining open, for now at least. Hempelf is one of the most highly recommended places to buy CBD bud online. They have huge amounts of positive reviews and they also sell CBD hash as well as CBD flower. 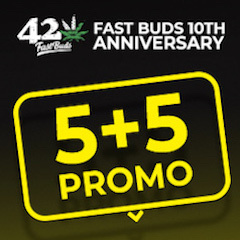 They have very responsive customer service and a decent range of buds. Hemp Elf also sell CBD infused chocolate!! Their Strawberry Kush strain is highly recommended. 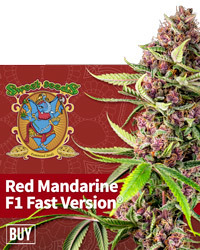 The Good Budz are also well worth checking out and they also offer a decent range of flower. Upon inhalation, one’s senses are immediately engulfed in a delicious aroma reminiscent of strawberry ice-cream on a hot summer’s day. The effect reflects this. Just as a day on the beach uplifts, relaxes and energises-so does strawberry ripple, leaving you imbued with a warm euphoric glow. Highly recommended! The effects were much appreciated and were indeed better than some soporific cannabis strains that are available. Another friend with AMS described the CannaBubble as the best thing she had ever had. The only thing that has stopped her pain effectively, better than any pharmaceuticals. Clever Botanics are a new store that has a variety of CBD products as well as CBD flower. Quietly, shops have started selling CBD rich hemp flowers which look exactly like normal cannabis. This was news to me until recently. These ‘CBD Buds’ are not actually created from the cannabis plant, but they look exactly like weed. Yes no THC. So the effects are going to be different to cannabis. However, the effects are not fundamentally different. The cannabinoid CBD which is present in large amounts of hashish is present in this bud, and that in itself has a diverse range of medical properties, so these types of bud are actually ideal for people looking to reduce anxiety. Something many medical users are looking for in cannabis. 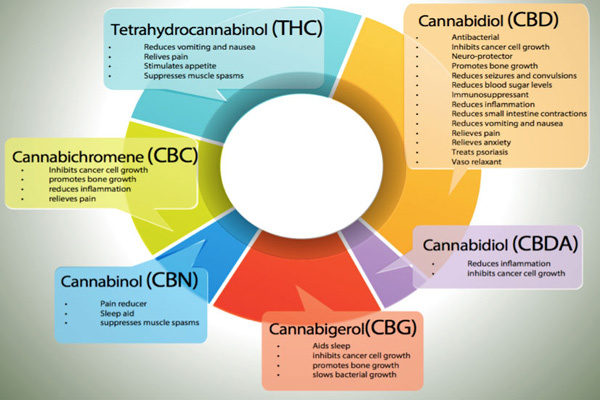 There are many other cannabinoids in the cannabis plant as well as THC, and these all have marvelous and unique attributes themselves. Here’s just a few. 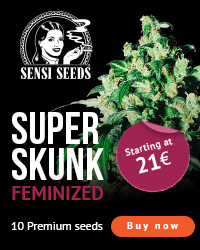 If you tried skunk and found it all a bit much then this very different approach to cannabis might just work for you. Also you don’t have to smoke these flowers. You can vape them, use hashish, oils, whatever. It’s a whole new world of cannabis products, just without the THC. The authorities have been allowing large amounts of these buds through customs, so no problems there so far. There have been absolutely no prosecutions for CBD flower, so it looks like the UK may have finally got access to a useful, legal cannabis product. The problem here for the police is that there is no visual way to identify CBD bud from normal bud, so cannabis prohibition has become even more complicated and ridiculous than before. Ho ho. Sorry Mr. Rozzer. I get the feeling a lot of police time could be wasted with these type of products. Perhaps it’s time to call it a day now chaps? I understand that in Switzerland the police actually have on the spot testing kits that they can use to test for THC, and you can even get hold of these in the UK. The Swiss have been using this type of CBD bud for many years and it has been available to buy labelled as ‘tea’. It is mostly (but not universally) Swiss companies who are now wholesaling this product to UK vendors, or indeed supplying customers directly. Some of these products now making their way around the world are created using Dinafem’s seed ‘Dinamed’. This is actually cannabis, not hemp, with virtually no THC and is being sold openly in Italy and Switzerland as low THC hemp. It is cannabis. Because of their minuscule THC levels these products come under the umbrella of industrial hemp, and remain legal in the UK. Spain has recently made a ban on CBD products but they remain available in the UK and the rest of Europe. If the continuing political deadlock in the UK is to continue, there’s hope CBD bud won’t even be discussed within the next few years. We can hope. Stocking up could be wise! Some people are using CBD mixed in with their strong cannabis to make it more user friendly. Because CBD has calming properties it has the ability to change the cannabis high and remove any paranoia or edginess. It has actually been found to be antipsychotic in studies, believe it or not. It can allow you for instance to be able to focus on a book if mixed with a more THC laden bud that may not allow this because of the euphoric effects of the THC.